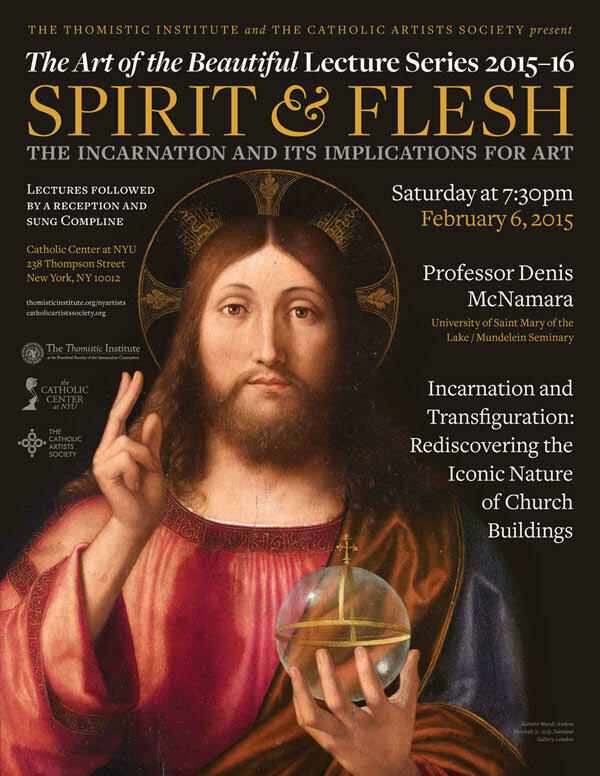 The Catholic Artists’ Society series of talks entitled The Art of the Beautiful continues this Saturday in New York City, with a presentation from architectural historian Denis McNamara entitled Incarnation and Transfiguration: Rediscovering the Iconic Nature of Church Buildings. Anyone who has attended one of Denis’ lectures or seen the series of talks produced by the Liturgical Institute in Mundelein, where he works, will know that this promises to be a stimulating and enjoyable evening. As usual with the CAS events the talk is followed by a reception and Compline. Just in case you can’t make out the detail on the poster above, the talk is at the Catholic Center, NYU, 238 Thompson Street.